Smt. J.R.D. 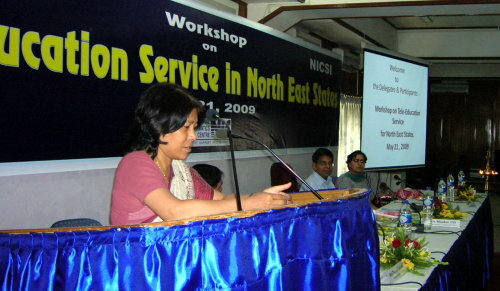 Kailay, MD, NICSI, addressing the delegates of the Workshop on Tele-Education Service in North East States held on 21 May, 2009 at Guwahati.